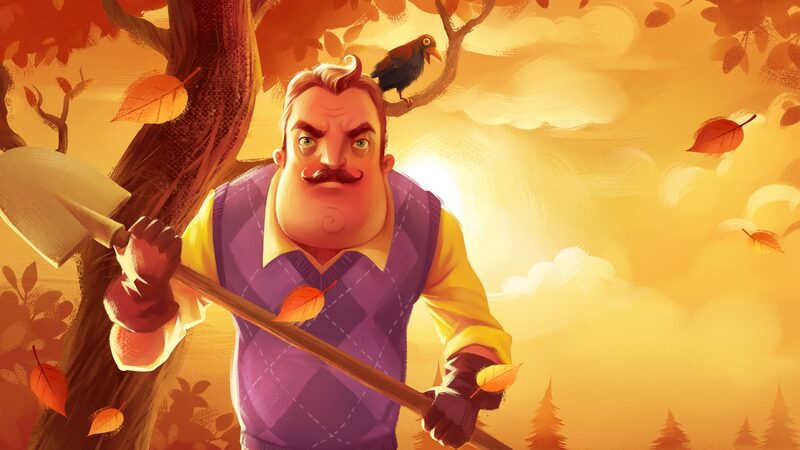 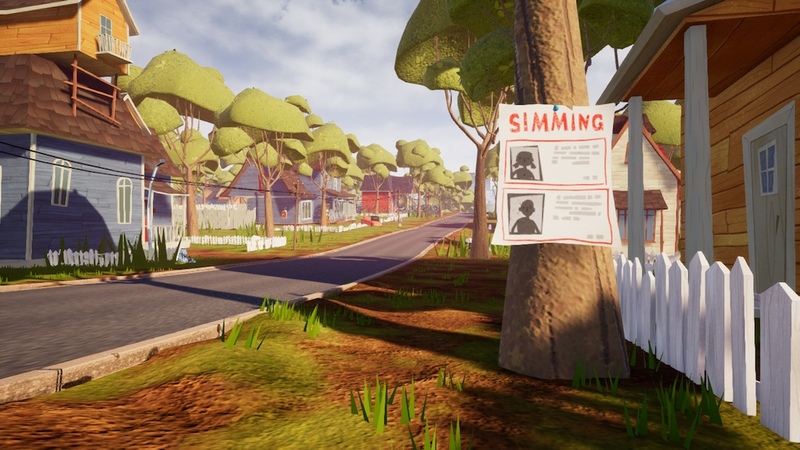 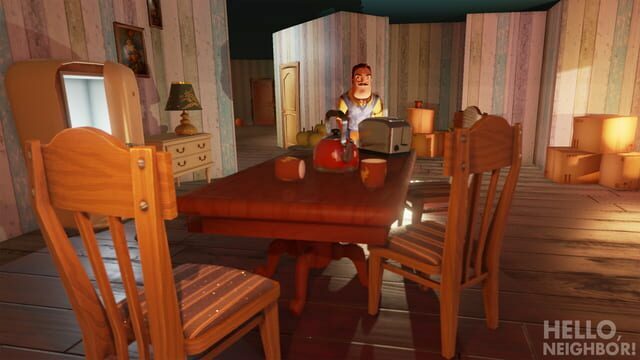 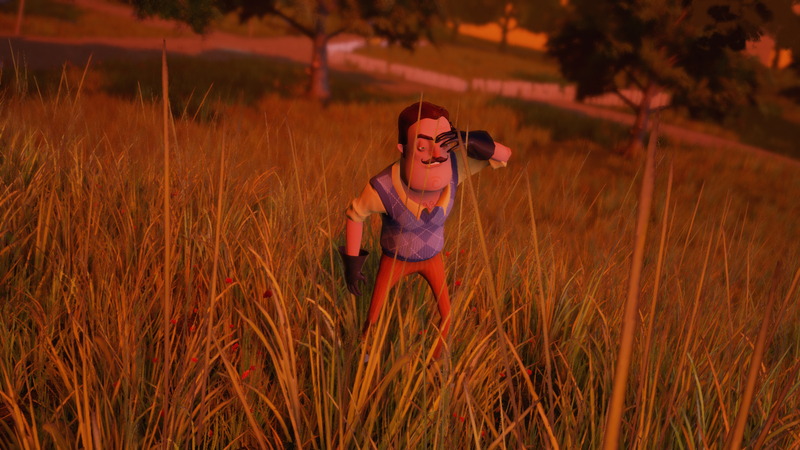 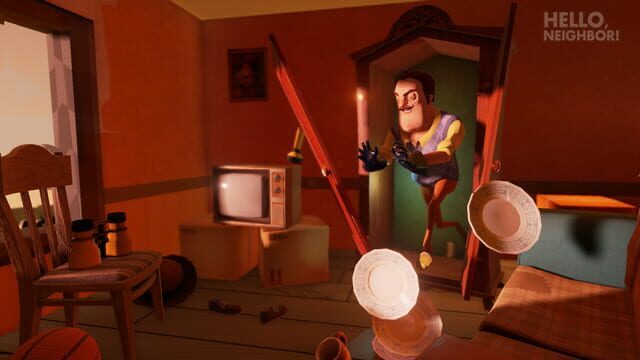 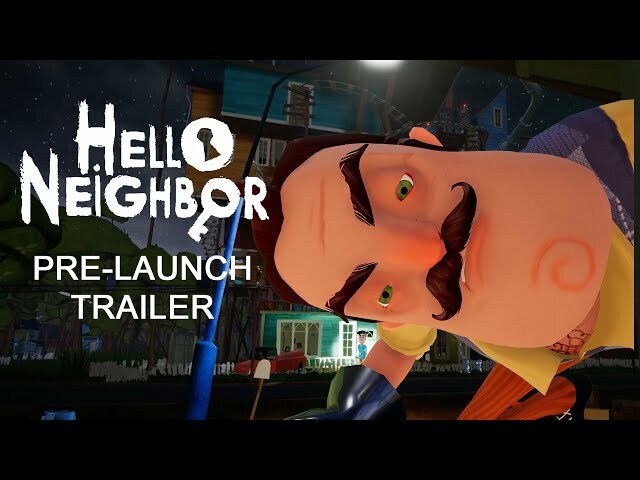 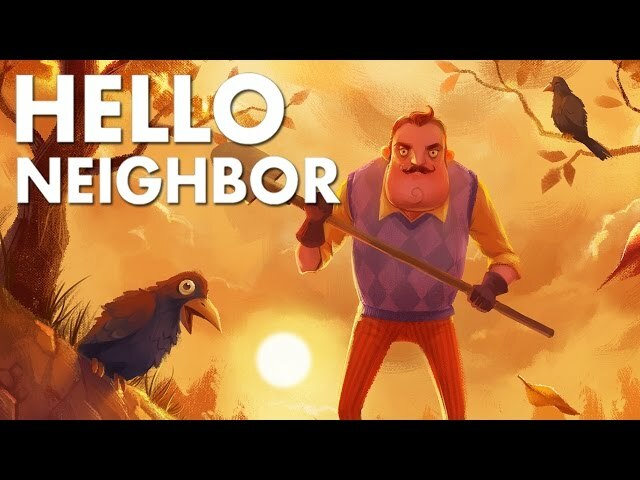 In Hello Neighbor, the player finds themselves moving into a new house across the street of a mysterious neighbor, who seems to be keeping a secret in his basement. 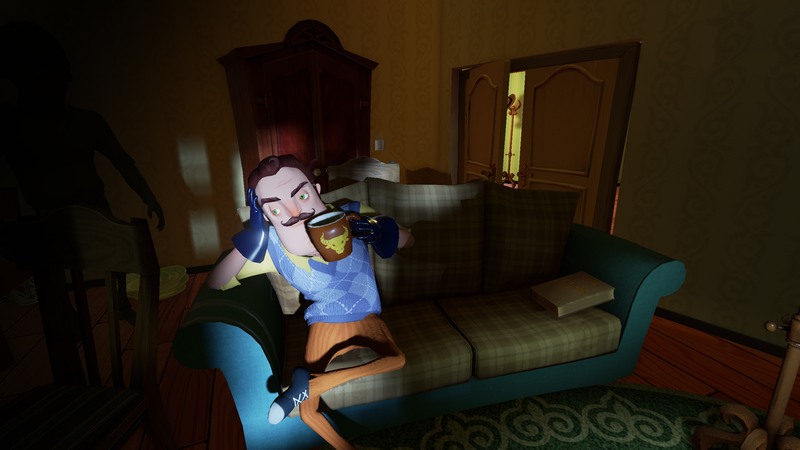 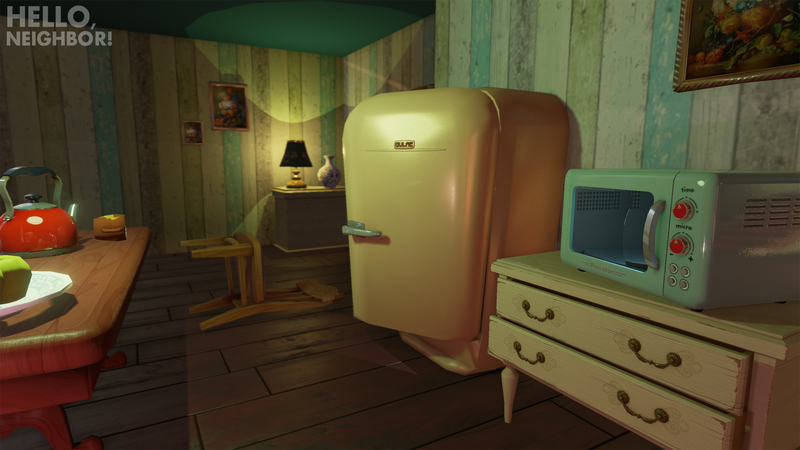 The player's task is to break into the neighbor's home and gather items needed to unlock and access his basement. 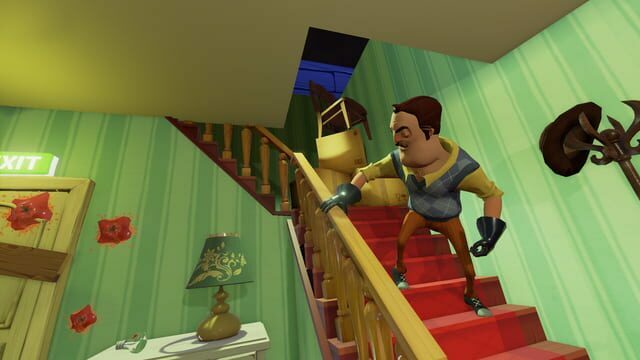 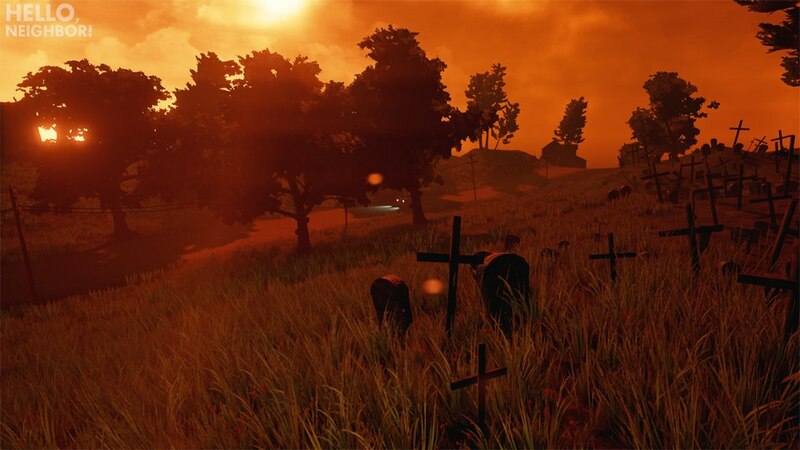 As the player explores the neighbor's house, he must not be spotted by the neighbor, or he will be chased down and, if the player is not quick enough to escape, caught. If the player is caught, he will be sent back to his own house and will have to break in again.